The left in Wisconsin is particularly nasty. Maybe it has something to do with the concentration of leftists in Madison, or maybe it’s the labor tradition in Wisconsin, which is now decaying and leaving a bunch of bitter people. Exhibit One of this bitterness has been the willingness of leftists to smear Republican Governor Scott Walker. Not merely to disagree (even vehemently) with his policies, but to flat out lie about him as a person, and his history. One of our liberal colleagues, apparently accepting this, has assured us that Walker was kicked out of Marquette. Dave Umhoefer of the Journal-Sentinel has investigated this for Politifact. First finding: Scott Walker was never kicked out or forced out of Marquette. We heard nothing — and found no evidence — suggesting Walker was pushed out of the university. But publicly available documents cannot fully resolve the question, in part because a federal privacy law blocks release of information on former students unless the person consents. In addition, Walker told us he was sticking to an earlier decision not to release his transcript. With that in mind, we asked Walker if he would allow Marquette to comment on his academic and conduct record. He did. Finally, there’s another problem with the Democratic Party’s claims. According to MU, Walker left school after the spring semester in 1990. That’s more than two years after the 1988 election, instead of the “not long after” the Dems claim. One claim that can’t be decisively debunked is that Walker and/or his supporters stole copies of a Marquette Tribune issue with an editorial endorsing Walker’s opponent in a student government election. No records exist to debunk that claim, but no records exist to support that claim either. Umhoefer found no evidence that Walker had done that. Further, as the above statements from Marquette show, no conduct or academic issues prevented Walker from completing his Marquette degree. The now-current version of the Democratic Party website has this claim removed — while still being as nasty as it can possibly be. It has dropped the “forced out” [of Marquette] claim, but still has the “masterminded” claim. Umhoefer does make a bit of an issue about somewhat inconsistent explanations Walker has given about why he did not return to Marquette and complete his degree. In reality, none of this is terribly damning, since in broad terms it’s clear why he didn’t: a lot was going on in his life, and school was not a top priority. When people recount their own motives and thinking, any account may be imprecise, since a lot of different thoughts and ideas go through people’s minds. How sleazy was the Democratic Party in all this? Mike Tate, chairman of the state Democrats, told us the party based its post on unnamed sources who he said had privately passed on information about possible “nefarious activity” that Tate did not describe. Those parties would be reluctant to talk to a reporter, he said. The allegation is defensible, said Tate, because the party is trying to raise questions about the “mystery” of Walker’s departure. That’s a flimsy case, at best. At worst, it suggests a possible fictional smear. But “raising questions” by telling (or recklessly repeating) bald faced lies is out of bounds. Just why is Mike Tate still employed by the Democratic Party of Wisconsin? From Adam Ryback, a Marquette alum who struggled (unsuccessfully) to get a Latin mass celebrated on the Marquette campus. This event is sponsored by Franciscum, a lay association of the faithful dedicated to participating in the New Evangelization through the promotion of traditional Catholic liturgical practices. For more information, call 262-490-3844 or email mnoone77@sbcglobal.net. The mass will have Advent music in preparation for Christmas. This means: Ave Maria by Schubert, O Sanctissima, Alma Redemptoris Mater, Panis Angelicus and more! The mass will be sung using Missa de Angelis (Mass of the Angels), whose style is Gregorian Chant, which the Second Vatican Council said should take “pride of place” in liturgical music. 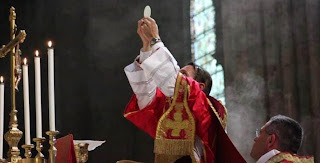 Being Protestant, we have no special affinity for the Latin Mass, but unlike some of the more liberal and secular-leaning Catholics, we have no hostility to it either. Our view of worship is (within reason) “whatever floats your boat.” If some traditionalist Catholics feel moved and inspired by the traditional form of the mass, good for them. But Marquette’s Campus Ministry, which has impeded attempts to celebrate the Latin Mass on campus at every turn, doesn’t seem to feel that way. It doesn’t seem to be about any theological principle, or coherent philosophy of worship. It seems to be about cultural antipathy. I am a Junior at Marquette University . . . To receive my minor, I have to take a sociology course so I choose to take the Arab and Muslim Americans class. It would be too much to expect that any professor should be so good at concealing their political biases that students could not figure out whether the professor leans left or right. A lot of our students, for example, figure out that we lean to the right, although some others feel the need to ask. In general, when we lecture on something that makes the left look bad, we discuss an analogous case that makes the right look bad. Yesterday, when we talked about arrogant bureaucrats who overstep their authority, we picked on OSHA and the EEOC, and then discussed J. Edgar Hoover’s campaign to discredit Martin Luther King. When we discuss media bias, we tell students that there is no unbiased media, and that they should look at outlets on both sides of the ideological spectrum. Further, there is a difference between letting some ideological bias show and creating a hostile learning environment for students who disagree with the professor. The latter is an abuse. A related issue is whether the professor feels free to offer all sorts of political opinions unrelated to the subject matter. The classic canons of academic freedom protect the right of a professor to say what he or she wants in the classroom only when discussing the course material, and expressing scholarly opinions. Stray irrelevant political observations are not protected. Of course, this distinction is largely unenforceable, but it’s still the case that spewing stray political opinions is an abuse. 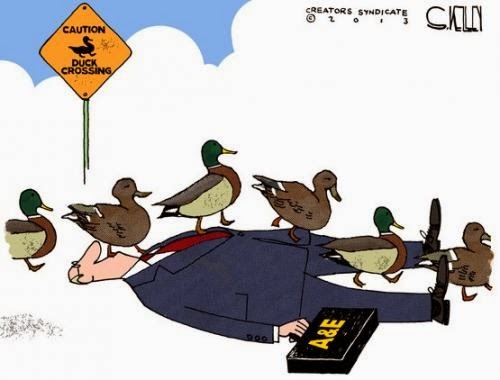 It’s difficult to see how attacking the tea party and Gov. Walker is relevant in a course in Arab-American politics. But this is the Sociology Department (technically, Social and Cultural Sciences), and it, along with humanities departments is a center of political correctness at Marquette.